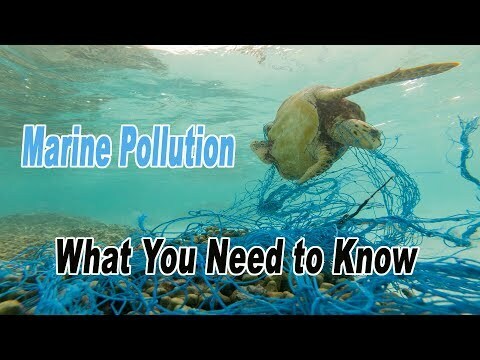 Marine pollution occurs today in varied forms–chemical, industrial, and agricultural and the sources of pollution are endless. In recent history, we’ve seen oil spills, untreated sewage, eutrophication, invasive species, heavy metals, acidification, radioactive substances, marine litter, and overfishing, among other significant problems. Though marine pollution has long been a topic of concern, it has very recently exploded in environmental, economic, and political debate circles; scientists and non-scientists alike continue to be shocked and dismayed at the sheer diversity of water pollutants and the many ways they can come to harm our environment and our bodies. Dr. Judith S. Weis is a Professor Emerita of Biological Sciences at Rutgers University, Newark. She received her bachelor’s degree from Cornell University and MS and Ph.D. from New York University. Her research focuses mostly on estuarine ecology and ecotoxicology, and she has published well over 200 refereed scientific papers, a technical book on marine pollution, co-edited a book on “Biological Invasions and Animal Behaviour” as well as several books for the general public. These include a book on salt marshes (“Salt Marshes: A Natural and Unnatural History”), a book on fish (“Do Fish Sleep?”), a book on crabs (“Walking Sideways: The Remarkable World of Crabs”), and a book on marine pollution (“Marine Pollution: What Everyone Needs to Know”). She is interested in stresses in estuaries and salt marshes (including pollution, invasive species, and parasites), and their effects on organisms, populations, and communities. Particular areas of focus have been effects of contaminants on growth, development, behavior, and predator/prey interactions; development of pollution tolerance in populations living in contaminated areas; effects of contaminants and parasites on behavior and ecology; interactions of invasive and native species; the role of mangroves and salt marsh grasses as habitat; effects of invasive salt marsh plants on estuarine ecology and contaminants. Much of her research has been in estuaries in the NY/NJ area, but she has also done research in Indonesia and Madagascar. She serves on the editorial board for BioScience. She is a Fellow of the American Association for the Advancement of Science (AAAS), was a Congressional Science Fellow with the U.S Senate, and a Fulbright Senior Specialist in Indonesia. She has been on numerous advisory committees for USEPA, NOAA, and the National Research Council, served the United Nations Environment Programme as a lead author of Global Environmental Outlook (GEO-5 and GEO-6 North America) and the World Ocean Assessment and chairs the Science Advisory Board of the NJ Department of Environmental Protection. She was the Chair of the Biology Section of AAAS, served on the boards of the Society of Environmental Toxicology and Chemistry (SETAC), the Association for Women in Science (AWIS), and the American Institute of Biological Sciences (AIBS), of which she was the President in 2001. In 2016, she received the Merit Award from the Society of Wetland Scientists.